This is a beautiful book combining the magic of Russian folk stories, old rule of Russian Czars, and the rise of Communism. The story of Marya Morevna and Koschei the Deathless is told while St. Petersburg, becomes Leningrad and Russia enters World War II. Valente shows folk tales and belief in magic to be old traditional Russia filled with Czars and Czaritza’s of life and death. New communistic Russia is modern with no need of fairy tales. It only needs what can be made by a comrades two hands. Valentine’s tale is poignant, full of patterns, and the tragic inability to escape destiny. Marya Morevna as a little girl sees what others do not. She sees birds come to their house, transform into men, and wed her sisters. The world of magic opens to her and she waits for her own bird to whisk her away. She clings to a book of Pushkin’s tales of magic. She knows they are real, but when everyone else believes them to be silly tales, she must be careful who she talks to. Her precious red scarf, the only thing that is truly hers and shows she is a good citizen comrade of The Young Pioneers, gets taken from her by girls in her class because she believes the old stories. It marks her as old Russia, not modern, and not a comrade. When Koschei comes for her she goes happily with him to Bolyan. She is happy to leave Leningrad and the twelve families and mothers that now live in what was her family home. Valente explores relationships and marriage. Chairman Yaga or Baba Yaga gives Marya advise so she does not become one of the countless girls Koschei discarded. Once Koschei is done with them, Yaga uses to build new soldiers in the war between life and death. Yaga, who had eaten many husbands, says marriage is about power and control. Only one can rule, and Marya has to prove her worth to marry Koschei. Marya asks why he does not have to prove his worth, but since she is a consort and slept with him without marriage, had bargaining chips. She must complete impossible tasks at Yaga’s request, our become soup. Their relationship is a struggle, as all marriages are a struggle. 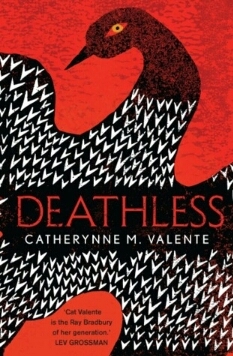 Valente’s fairytale story is not a happily ever after, but the inevitable struggle that is life’s fight against death. In the original tale of Koschei the Deathless there is always an Ivan that pulls Marya from Koschei and every Marya finds Koschei’s death. She kills him so she can live her life with the Ivan. Marya learns she has not been Koshei’s only love, and is one of many Marya’s in Koschei’s long life. She is only one Marya, in one cycle of a story that repeats itself. Marya fights it but it inevitably ends the same. Fate wins, as it always does, and she meets her Ivan. Even as she had no desire to leave Koschei, she falls in love in the moment she meets a warm blooded Ivan. In him she sees her human life stolen from her, the children she could have had, the life with her family that was not filled with despair in the inevitable losing fight in the war with the Czar of death. The war that has taken all her friends. She goes with Ivan to Leningrad, she leaves one war only for it to be replaced with another. Russia joins World War II. A promised life of children and love is one of starvation, freezing, and death. The depiction of life in Leningrad by Valente is an accurate portrait of the absolute despair that existed. This beautiful book combines magic folk tales with the tragic life Russians endured during the 40’s. The food lines, rationing, loaves of bread made with saw dust that sold for diamonds happened. All at the same time, Valente has the Czar of Life lose the war to the Czar of death, Koschei loses his life to Marya and Ivan, tradition and magic die, and the Russian people die. Only death wins. If you enjoy audible books Kim de Blecourt narrates a beautiful version. Her character differentiation is fabulous, and she is able to handle both male and female voices well. My one recommendation is to increase the reading speed. This is the first book I have ever chosen to this with. This is a minor concern and easy fix. I make it sound terribly depressing and spirit crushing. You would think I didn’t like it but I love it. I will re-read it. I appreciate the amazing book Valente created. The juxtaposition of old world magic with communistic Russia is done so well. I can’t see anyone who has an appreciation for history, folk lore, and Russian culture coming away unenlightened. Yes this is a book of death, desperation, and inescapable fate, but it is also one of joy, love, appreciation for what one has. Death comes for us all but there is freedom in that too. I strongly recommend this book.